The theme for the summit is “Africa-China Progressing Together: Win-Win Cooperation for Common Development”. 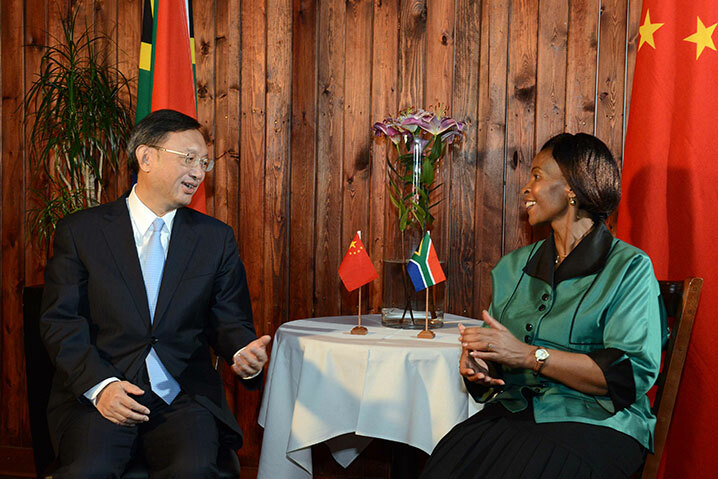 The Minister of International Relations and Cooperation, Maite Nkoana-Mashabane, hosted Yang Jiechi, State Councillor of the People’s Republic of China, on 9 October 2015, for bilateral consultations. State Councillor Yang was on an Official Visit to South Africa from 9 to 11 October 2015. The main purpose of the visit was to discuss preparations for the forthcoming Second Summit of the Forum on China-Africa Cooperation, to be held in Johannesburg from 4 to 5 December 2015. This will be the largest single military exercise in South Africa since the dawn of democracy 21 years ago. More than 5 400 troops are expected to arrive in South Africa for the African Union (AU) field training exercise Amani Africa II – a Kiswahili phrase meaning “peace in Africa”. The training is set to take place at the SA Army Combat Training Centre in the Northern Cape from 19 October to 7 November. The exercise is conducted by the AU with the intent of evaluating the state of readiness of the African Standby Force (ASF) and its Rapid Deployment Capability towards the achievement of full operational capability by December 2015. The training cycle started in 2012 and its conclusion this year will also see the long-awaited ASF become a reality. Briefing the media in Pretoria recently, the Chief of Joint Operations, Lieutenant-General Derick Mgwebi, said personnel, vehicles and equipment from the various participating countries would start to arrive in South Africa from 12 October. “The South African National Defence Force is proud to be hosting this exercise,” he said, adding that the Southern African Development Community (SADC) was the host region while South Africa was the host nation. The Lieutenant-General said the five African regional organisations, including SADC as the main force, with the Economic Community of West African States, East Africa Standby Force and Economic Community of Central African States would contribute troops and equipment for Amani Africa II. The major contributing countries towards the exercise are Angola, Botswana, Democratic Republic of Congo, Lesotho, Malawi, Mozambique, Namibia, South Africa, Swaziland Zambia and Zimbabwe. 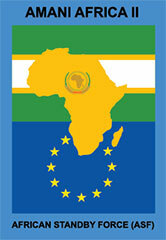 Other contributing countries will be Algeria, Burundi, Egypt, Ethiopia, Gambia, Ghana, Kenya, Nigeria, Rwanda and Uganda. “The exercise aims to evaluate the state of readiness of the ASF and its rapid deployment capability to ensure full operational capability by year-end, so when people see other military they must not be surprised. “At the same time, we appeal to the public to be supportive of this noble exercise and its aims in pursuit of peace and stability on our continent,” said Lieutenant-General Mgwebi. 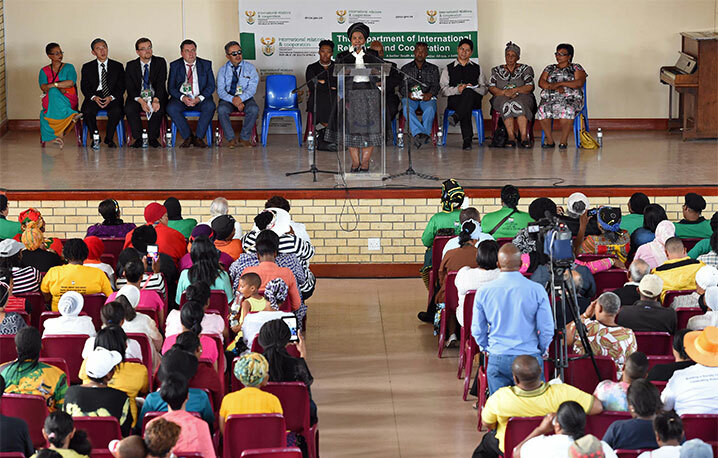 The Rondevlei Community invited Deputy Minister Mfeketo to host an Imbizo where she outlined South Africa’s foreign policy priorities and marked the life and legacy of Dora Tamana. The Deputy Minister of International Relations and Cooperation, Nomaindiya Mfeketo, says the diplomatic work that the department does is important as it has the potential to impact communities through job creation. The Imbizo, which was part of activities planned to mark Heritage Month, was aimed at briefing members of the community on South Africa’s foreign policy priorities as well as to celebrate the life and legacy of struggle stalwart Dora Tamana. “When I took up the position of Deputy Minister, I told myself that I will explain to our people the connection between the work we do abroad and the realities here at home. Ambassadors from Russia, China and Kazakhstan also attended the Imbizo. The Deputy Minister said their governments had an important role in addressing the triple challenges of unemployment, poverty and inequality and that the work of the foreign ambassadors to South Africa showed that they remained committed to partnering with South Africa. “When foreign countries invest in South Africa, they employ South Africans and this is a direct contribution towards addressing our challenges of unemployment, poverty and inequity,” she said. The Deputy Minister told members of the community that the African Union’s (AU) Agenda 2063 envisioned an Africa that was at peace with itself, an Africa that was free and prosperous. She said the vision focuses on the empowerment of women and youth towards a sustainable and developmental African continent. In addition to the Imbizo, Deputy Minister Mfeketo handed over two houses to the Rondevlei Housing Project. One of the recipients was an elderly lady who now owns a house for the first time. A renaming ceremony of a public park also took place. The Deputy Minister unveiled a plaque at the ceremony and reflected on the work of Dora Tamana (1901 to 1983), a political activist who committed her life to the upliftment of communities in the Western Cape. There was also a wreath-laying ceremony at her gravesite. it as "a great step forward". The United Nations (UN) has launched the Nelson Mandela Rules, a guideline to protect the rights of detainees. The UN Commission on Crime Prevention and Criminal Justice adopted the crucial revisions of the 60-year-old international standards on treatment of prisoners at a meeting on 22 May in Vienna, in Austria. Now the Mandela Rules have been adopted by the UN General Assembly, which has published them. UN General Assembly president, Mogens Lykketoft, recalled the spirit of Mandela. "It is said that no one truly knows a nation until one has been inside its jails," he quoted. "A nation should not be judged by how it treats its highest citizens, but its lowest ones." Lykketoft said that nations had failed to protect the human rights of prisoners. Too often, the driving principle behind prisoner treatment had been to see these individuals as entirely separate from communities and societies. "Hidden from our gaze, and indeed sometimes before our very eyes, prisoners have suffered abuse and mistreatment." The Mandela Rules "outlines that there shall be no discrimination; that the religious beliefs and moral precepts of prisoners shall be respected; and that legal representation and protection are mandated in regard to vulnerable groups within the prison populations", reads the UN website. Ivan Šimonović, assistant secretary-general for human rights, said the revised rules were much more specific on matters such as defining the scope on solitary confinement and first-time guidance on intrusive searches, including strip and body cavity searches. But implementation could be a challenge, said Lykketoft. "The crucial challenge for member states will be to translate these rules into a reality and to increase cooperation both within and outside the UN system to improve the lives of prisoners throughout the world." Šimonović added: "That is what Mr Mandela would have expected from us." The Government of South Africa has extended its congratulations to the people of Tunisia on the occasion of the announcement that the National Dialogue Quartet has been awarded the Nobel Peace Prize for 2015. “We are proud as fellow Africans of the example set by our brothers and sisters in Tunisia as a shining example of finding African solutions to African problems. The commissioners-general of the revenue authorities of southern African countries, including South Africa, met in Pretoria recently to discuss matters of mutual interest. Southern African countries have committed to increase their cooperation to stem the tide of VAT fraud, which adversely impacts the region’s economic development. Countries present at the meeting included Angola, Botswana, Lesotho, Malawi, Mauritius, Mozambique, Namibia, Swaziland, Zambia and Zimbabwe. In a joint outcomes statement by the Commissioners-General Forum for Southern Africa, leaders agreed that the impact of VAT fraud manifested itself across borders. The commissioners-general also discussed the integrity in revenue administrations, the negative impact of the illicit economy on revenue collection and VAT fraud, which is a domestic and cross-border challenge. The forum previously hosted a session in July. The commissioners also said they recognised that aggressive tax planning schemes were harmful and needed to be addressed to stem the negative impact of Illicit Financial Flows (IFFs). Commissioner Moyane said the team, led by former President Thabo Mbeki in the Economic Commission for Africa, estimated that around $60 billion in IFF left Africa on an annual basis. Welcoming the delegation to Zambia, South African High Commissioner to Zambia, Sikose Miji, said small and medium enterprises (SMEs) in Zambia were enthusiastic to form partnerships with South African businesses. A South African business delegation recently visited Lusaka, Zambia, to participate in an Outward Selling Mission (OSM). The High Commissioner added that small businesses were thriving in Zambia and were the backbone of that country’s economy. This, she noted, provided an ideal opportunity for partnerships between the South African and Zambian entrepreneurs. “The enthusiasm of these SMEs offers the South African businesspeople a platform to partner and form joint ventures. We anticipate having a fruitful mission as the Zambian business community has shown great interest in the mission,” said Mji. Mji said the time to export raw material and import finished goods was over. “Now is the time to forge relationships, cooperate with local businesses and beneficiate our raw materials. This will lead to a reduction in the trade deficit between South Africa and Zambia in a long run,” she said. Director of Export Promotion at the dti, Dr Julius Nyalunga, described Zambia as the perfect market for South African firms. “Zambia has had one of the world’s fastest-growing economies for the past 10 years, with real gross domestic product growth averaging roughly 5,5% per annum. This clearly shows they are doing something right,” said Nyalunga. He added that African countries needed to acknowledge the importance of economic diversification and establishment of regional value chains, while increasing intra-regional trade and expanding markets within the regions and continent. 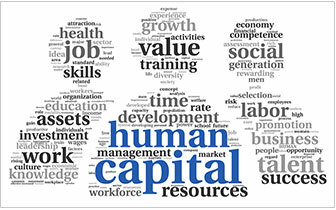 The mission consisted of a business seminar, business-to-business meetings, roundtable discussions and site visits. 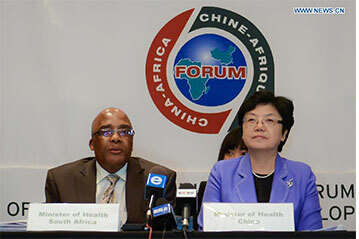 the Second Ministerial Forum of China-Africa Health Development Meeting. The Chinese Government has committed to building 100 health facilities in Africa, says the Minister of Health, Aaron Motsoaledi. The Chinese Health Minister said they would also continue to send medical teams to work in African countries and recruited some 1 500 medical personnel in the next three years. The two countries have committed to improving the health systems of African countries in the post-Ebola era, reinforcing laboratory capacity and diagnostic systems, assisting with human resources development in Africa, and improving health infrastructure. Motsoaledi said the building of the 100 health facilities would go a long way in helping to strengthen the continent's resources. Speaking at the Annual African Regional Labour Administration Centre (ARLAC) Meeting in Durban on 12 October, Minister Oliphant said the rates of improvement in human development indicators related to education, health and income in Central, Northern and Southern Africa. Labour Minister Mildred Oliphant says African countries have made significant strides in all dimensions of human development, comparable with other regions of the world. Minister Oliphant said in 2014, 17 out of 52 African countries achieved high and medium levels of human development. “… There have been notable improvements in some countries in the southern Africa region, the highest being Angola, Botswana, Malawi, Mozambique and Zambia, while the leading countries in East Africa are Burundi, Ethiopia, Rwanda and the United Republic of Tanzania. “We need not limit our exposure to our own respective countries but learn from the experiences of other countries within the African continent,” she said. Minister Oliphant was concerned about some African countries conducting study tours abroad to gather lessons while leaving best practices happening on the African continent. “Some of our own best practices as a continent rank among the best in world by any standard. So, why not leverage this advantage to influence and advance the global agenda on our own terms?” she said. The ARLAC Meeting gave participants a unique opportunity to explore key issues in labour administration and labour policy development. The conference, which is seen as an opportunity to share best practices and lessons relating to the mandates, powers and functioning of military ombuds, will take place in the Czech Republic from 25 to 27 October 2015. The South African Military Ombuds, retired Lieutenant-General Temba Matanzima, will join over 40 member states for the Seventh International Conference of Armed Forces (ICOAF). 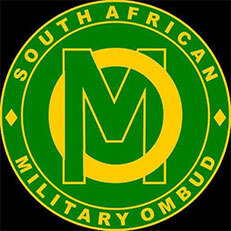 It will deal with themes such as the role of Ombuds’ institutions in democratic societies, the centrality of human rights in democratic societies, civil and political rights of armed forces personnel as well as the relationship between the Ombuds’ institutions and civil society in democratic oversight of armed forces, among some. In an interview with SAnews, Lieutenant-General Matanzima said one of the conference’s strengths had been its ability to bring together well-established institutions with the newly formed ones with the objective of assisting the latter in establishing their systems and processes. The Board of Governors meets in Marseille, Paris, in November, to vote on the inclusion of additional members from developed and developing countries. 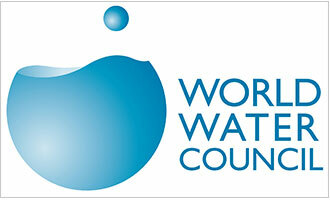 South Africa is poised to become a member of the prestigious World Water Council. The council is the most influential international structure that sets the trends and debates on water and sanitation issues. It also advises the United Nations on water and sanitation issues. Members of the board consist of a variety of global water experts, scientists and academics. The nomination of the Director-General of the Department of Water and Sanitation, Margaret- Ann Diedricks, who has impressed experts with her impeccable insight on water and sanitation matters, followed this process. Diedricks was nominated at the suggestion of her African peers who attended a series of meetings with her to discuss water issues. Her potential was also identified by among others, the President of the Board of Governors, Benito Braga, who raised the matter with Minister Nomvula Mokonyane at the Seventh World Water Forum in South Korea earlier this year. Diedricks joined the department in 2014 after serving as the Head of the Department of Community Safety in Gauteng, Chief Operations Officer in the Ekurhuleni Metropolitan Council, and then later the Director-General of Gauteng. She boasts an impressive record of clean audits and decisive leadership, thanks to her sharp administrative skills. The inclusion of South Africa to the board membership will have a huge impact on the country’s ability to influence water and sanitation issues, at an international level. Braga was impressed with South Africa’s leadership during meetings at the Southern African Development Community and in the African Union. He described the country as “a leader on the continent that was capable of implementing the water goal”. The breakthrough announcement was made at the Fifth CSIR Conference under the theme “70 Years of Ideas that Work” where the CSIR was celebrating its 70th anniversary. 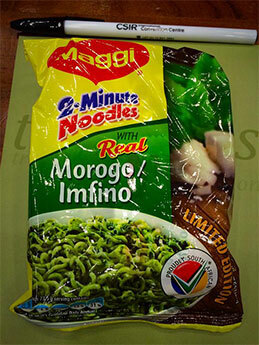 After three years of extensive research on various indigenous South African edible plants, Nestlé South Africa, the Council for Scientific and Industrial Research (CSIR) and the Agricultural Research Council (ARC) recently announced that their collaborative research agreement had resulted in the development of an innovative commercial product, the new Maggi 2 Minute Noodles with real Morogo. 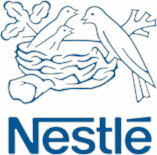 The development of this product is a result of a collaborative research agreement between Nestlé, the Department of Science and Technology (DST), CSIR and the ARC, after the partners undertook to research South Africa’s biodiversity to confirm their health benefits and potential nutraceutical and functional food applications. Addressing delegates at the launch attended by representatives from the DST, CSIR, ARC and Nestlé South Africa, the Minister of Science and Technology, Naledi Pandor said, "The local knowledge that has been passed on orally from generation to generation is a vital part of a nation's heritage. In South Africa, indigenous knowledge has massive potential for research, development, and innovation. The department is proud of this key milestone where we successfully translated academic research into an innovative commercial product, which will be enjoyed by South African consumers." For 70 years, the CSIR has ensured that its technologies and know how have socio-economic impact that will benefit the country at large. 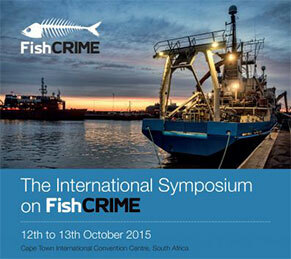 Stakeholders from law-enforcement agencies, humanitarian organisations and government fisheries departments from 32 countries recently convened in Cape Town for an international symposium on illegal fishing. Hosted by the Department of Agriculture, Forestry and Fisheries, PescaDOLUS, Stop Illegal Fishing and the Norwegian Ministry of Trade, Industry and Fisheries, the gathering argued that the definition of illegal fishing should be broadened to include fisheries crime, including highly organised and well-financed transnational crimes that often went undetected in the waters. “This event will bring some of the best brains in this field. Among them, will be experts who will share some of the high-profile cases and present ways in which countries and agencies can collaborate to tackle these very serious crimes,” said Head of Fisheries Compliance Enforcement in the department, Ceba Mtoba. Mtoba said the two-day symposium put South Africa and the rest of the continent under sharp focus. The Durban Harbour will undergo major maintenance to its docking sites to handle its increasing traffic of megaships, the Transnet National Port Authority has said. With massive ships now entering Durban Harbour, the ports authority said ongoing efforts had been made to address “shallow spots”. 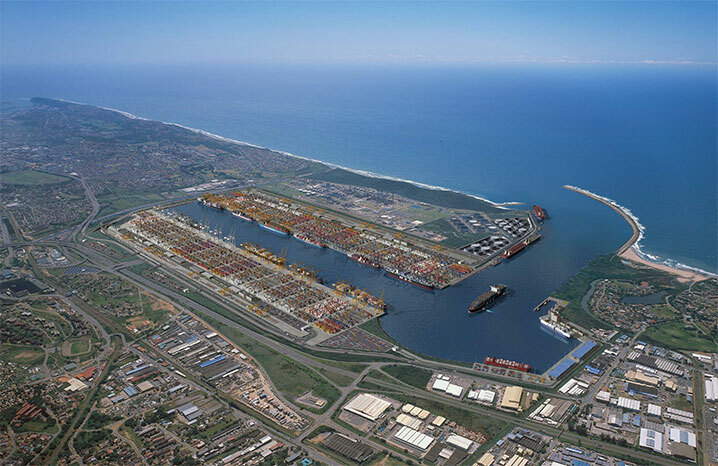 In a statement, Durban Port Manager, Moshe Motlohi, said: "The vessels calling at our ports have gotten bigger and therefore require deeper draughts. But they also cause challenges for ports because of the manner in which they more aggressively displace material from the sea bed, thus causing shallow spots. "Shallower berths can cut into the vessel payloads of ship owners because it means they cannot sail into the port with their vessels fully laden and have to wait for high tide to sail or berth." Motlohi added that Transnet would also be taking delivery of a new suction hopper dredger, the Ilembe, in December. It will be used to dredge larger areas such as the entrance channels. "Transnet has also received approval to build a new grab hopper dredger dedicated to the port, which should be delivered by the end of 2016." He said Transnet was continuing with maintenance dredging and pushing forward its R2-billion dredging fleet replacement programme. It was the Northern Cape winner of the Universal Accessibility (Mobility) Award and the Visitor Experience Award in the 2015 Lilizela Tourism Awards, regarded as the country’s premier travel and tourism awards and designed to celebrate excellence, creativity and innovation. Also, Romano Bezuidenhout, then the Big Hole’s marketing officer, was named the best culture guide in the Northern Cape in the tourist guide category. The team at the museum has received more than a dozen awards, including the TripAdvisor top award for service excellence in 2013, 2014 and 2015, as well as the Lilizela Tourism Award last year for the best visitor experience on a provincial level. Mining operations at the Big Hole, which began 150 years ago, closed down in 1914. 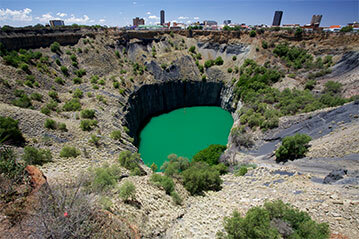 By then, some 22,5 million tons of earth had been removed, providing access to more than 14.5 million carats of diamonds. The hole was dug to a depth of 240 metres entirely by pick and shovel, and remains one of the largest man-made excavations in the world. South Africa forms part of only 19 countries that cracked the nod this year. The nominees in the 10 categories were announced by the International Academy of Television Arts & Sciences. 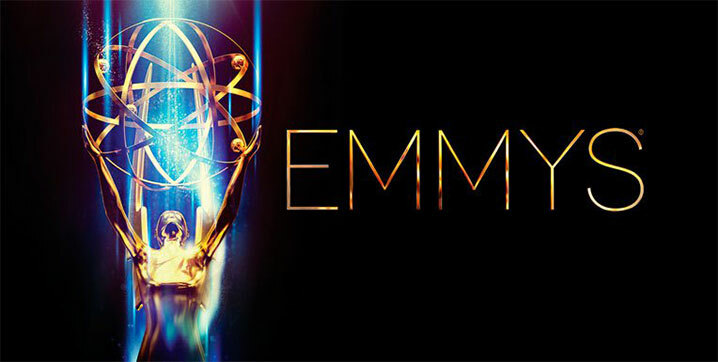 South Africa is shining with three nominations for the 2015 International Emmy Awards with M-Net's (DStv 101) MasterChef South Africa, StarSat's Puppet Nation ZA and the local documentary Miners Shot Down all nominated. Besides South Africa, Angola is the only other African country to make the cut with its telenovela Jikulumessu securing a nod. The new ATP rankings release puts Anderson two places higher than his previous career high No 12 ranking at No 10. 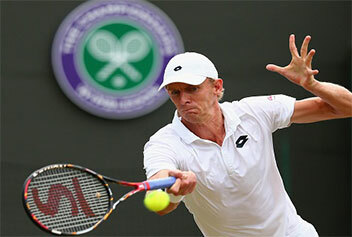 South Africa’s Kevin Anderson has achieved a pre-season goal by reaching the world’s top 10. This achievement was after a stellar season which saw Anderson win the ATP Winston-Salem Open, reach the finals of the Memphis and Aegon Championships (Queens) and reach a further two ATP semi-final berths. Anderson became the top-ranked male South African player on 10 March 2008, after making the final at the 2008 Tennis Channel Open in Las Vegas. He first achieved his career-high ranking of World No 12 on 14 September this year. Anderson has said that the top 10 in the world rankings felt within his grasp after reaching the quarter-finals of a Grand Slam tournament for the first time. Anderson recorded a surprise four-set victory over Andy Murray to reach the last eight at the US Open, and the South African has admitted that he gave himself the chance to achieve what he calls "a lifelong dream".